Is it possible that we are doing bad by attempting to do good? Are we actually hurting our nonprofit rather than helping it grow? This can very well be the case if you are still designing your website using traditional website development methods. In today’s digital age, nonprofits are realizing the need to redesign their website much more frequently than in the past. And if the website redesign is poorly done, it can negatively affect how constituents view and understand your mission. If you have ever built or redesigned a website, it most likely was done using the traditional website design methodology. This method, sometimes referred to as a “Waterfall Approach,” is linear in nature. The website project has a finite beginning and end. This means that once you complete one section, you then move on to the next stage of the project. The intent is to progress down the waterfall and not to revisit a stage after completion. 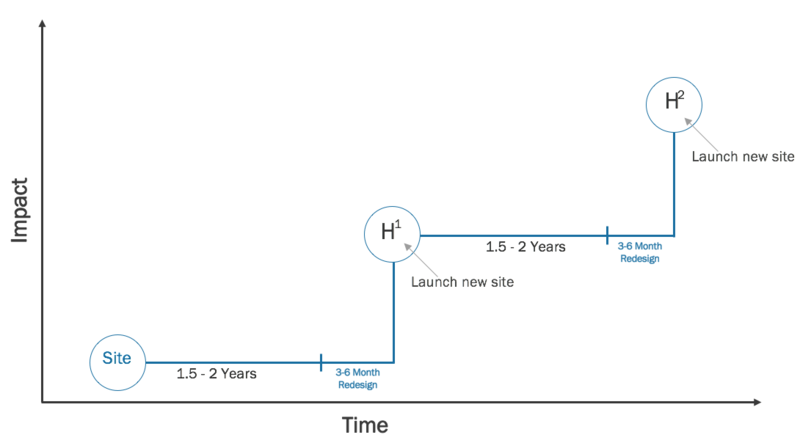 This Traditional Website Design (TWD) involves a 3-6 month development cycle every couple of years that results in a new website, similar to the following diagram. Although using traditional design methods can provide you with a decent looking website, it can actually do more harm than good. With this old methodology, you are losing the important adaptability that you need in today’s market. Poor website design will harm the very core of your nonprofit and the success of your mission. Think back to your latest website redesign. What was the experience like? What challenges did you encounter in this project? Did everything run smoothly or did the project go out of scope, cost too much, and use up too much of your valuable time? Did you even have a method to verify if the website redesign was successful in accomplishing your goals? Most of the difficulties that you have encountered in your website redesigns are not unique to you. These are common problems that certain methodologies are more likely to expose. Your website is an investment, but that doesn’t mean you should have to wait until you have 10k to begin a redesign. 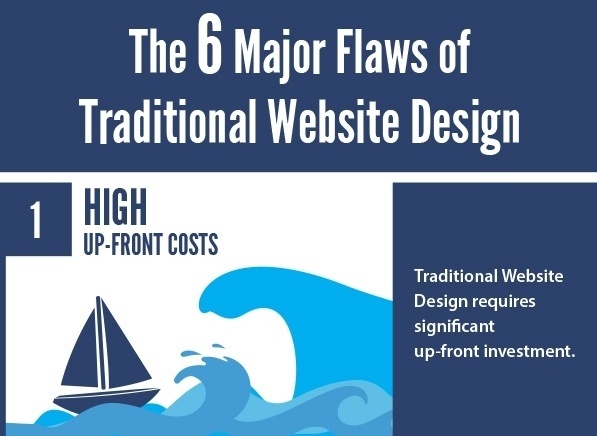 Traditional web design usually requires high upfront costs that are difficult to swallow. Unfortunately, these high upfront costs present barriers to achieving ROI (Return On Investment) leaving many nonprofit communications folks frustrated. Due to the methodology of TWD, these three common risks are more likely to be encountered. With a linear approach, the emergence of scope creep can lead to the project going over budget and running past the agreed upon delivery date. And here’s the reality: scope creep is a lose-lose situation for both the client and the service provider. No client wants to hear that they need to spend even more money, especially after the website project is already overdue. And guess what, the website designers don’t want to have to ask you for more money either! They know that it’s likely going to make you unhappy with their services and less likely to become a client success story. There are too many horror stories about website projects getting off scope resulting in going over budget and way past the intended due dates. And no, it’s not just the fault of the web developers. More often, the reason a website project goes over budget and runs late is due to the client not fully knowing what they want, and asking for more features that the service provider did not fully realize. Imagine that your website redesign just finished. It has been somewhere between 3-6 months of frustrating work, but you can finally let out a sigh of relief. Your website is finally online, and you are ready to see the donations and volunteers come flying in. One problem. Because the whole process took so long, the actual website design and content is out of date, immediately upon release. By the nature of the design phase, you are releasing features that are at least 3-6 months old. Think about this. Should you buy a baby outfit at size “3-6 months old” but wait a few months before seeing if it's a good fit for your growing child? Of course not. Why should your nonprofit’s website do the same? Staying with this older methodology will keep you constantly looking back without being able to adjust for the present and more importantly, for the future. Your nonprofit’s mission is to focus on what you can do in the now and in the future, not what you have done in the past. Let’s assume that you are lucky enough to release an outdated website that doesn’t negatively impact your work or performance. Maybe this website is actually helping improve your performance. Although this is a great situation to be in, TWD still may be hurting your nonprofit. Once the website redesign is completed, traditionally your web design and development agency will no longer be working with you. They have completed the project. Your organization most likely will wait a few years before spending additional thousands of dollars to undergo another redesign. If you require any updates that are vital to your mission before the next redesign, these needs will remain unmet for a few years. This method of designing a website every few years forces your organization and mission to remain unadaptable. Should your nonprofit's primary brand power be dependent on waiting every few years for a redesign? It is important to note that traditional website design is based mostly on emotion, instinct, and assumptions. These opinions usually come from executive leadership, the board, and even web design consultants. But the problem with all of these opinions is that they often do not come with in-depth validation. There is no science behind it. 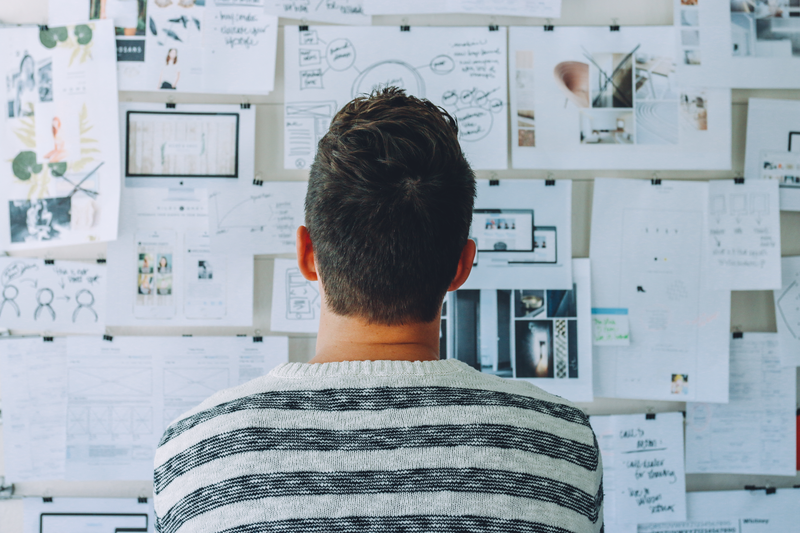 Without scientific data supporting your hypothesis, how do you know if your website is actually helping your mission rather than detracting from it? What parts of your website are actually doing well and what parts are making users leave your site? Why have so many nonprofits been approaching website development without the transparency and accountability that they normally desire in their other operations? By lacking a more scientific approach and continuing to test what is actually working and what is best for your website, your website design will remain in the dark and be based on assumptions rather than reality. Life is dynamic and so is your nonprofit’s mission. Why shouldn’t your website match reality? By remaining static and not constantly collecting data on how your users interact with your website, you are missing out on rich information. You will be lacking transparency and accountability. Visitor behavior on your website should be considered a conversation between you and them. As your donors are interacting with your website, they are unintentionally telling you what they like and what they don’t through their behavior. What are they reading? What content is actually attracting them and generating conversions, ultimately leading them to support your mission? Unfortunately, the value of all this information is lost when relying on TWD. After the website design is launched, traditional design ignores your constituents’ behaviors. Traditional website design does not incorporate a process to improve design and functionality based on user data. Users may be shouting at you that a certain aspect of your website is uninteresting through their behavior, but their complaints will remain ignored by your lack of sophisticated website technology and an outdated process. Every business strategy for your nonprofit should be integrated with all your other strategies. Every effort and decision should be part of your strategy which is ultimately linked to a clearly defined and documented goal. The same should go with your website. Your website design should match your content marketing strategy, which should be clearly linked to a specified goal. Many smart nonprofits have started transitioning their communications strategy to what is becoming the new industry standard — Inbound Marketing — and finding great success. However, if your communications strategy is not integrated with your website development strategy, your website may end up harming your marketing strategy and restricting you from accomplishing your specified goals for prospect generation. A comprehensive inbound marketing strategy will bring in organic traffic to your website and provide more data on how visitors are interacting with your content. We call this process “continuous improvement” because this is the key to growing your website and improving ROI based on data collection. The benefit of the continuous improvement process is that your marketing strategy is constantly being optimized based on what is actually helping you meet your development goals. Was reading this list painful? Did it bring back unpleasant memories? Or did it even help you recognize how your nonprofit has been affected by TWD? No matter your answer, one thing is for sure. This is not a time for frustration or looking back in hindsight. In fact, this is a time to change our thinking! In order to be the best we can be, we must have the mindset of continuous improvement. We must learn from our mistakes in order to improve. This learning process is dependant on our honesty; only by identifying where we have fallen short can we identify ways to improve our organizations. This honesty calls for transparency and accountability. In the nonprofit world, we know the importance of these two responsibilities. But have we forgotten these values in our website redesign? It is time to be brutally honest with our website redesign. Let’s say goodbye to Traditional Website Design and say hello to a healthier, more scientific approach to building websites, Growth-Driven Design.